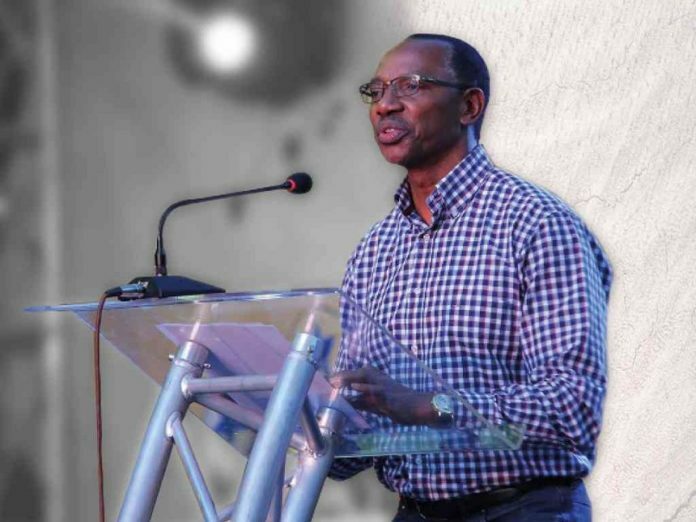 Humphrey Kariuki’s Life: Humphrey Kariuki Ndegwa is not your ordinary billionaire. He maintains a low profile and commands a business trajectory that has left many confounded. Last week, though, the public was ushered into his reclusive life following a bust at one of his businesses. The bust took place at the Africa Spirits Limited company where estimated 21 million counterfeit excise stamps and 312,000 litres of illicit products were discovered. these items were all worth billions of money. Kariuki built this brewery in 2002. “I’m proud to say that Africa Spirits Limited is the most successful indigenous alcoholic beverage company in Kenya today,” he is reported as saying two years ago. The opening of this lid on Kariuki’s tax cheating revealed the dealings of a businessman who has been accumulating millions, if not billions of money through tax evasion. According to a report in the daily Nation, Kariuki’s Africa Spirits Limited is just one entity in his multi-billion empire. Africa Spirits, which is popularly known for alcoholic drinks such as the Bluemoon Vodka, is only a small part of Mr Kariuki’s multibillion empire. His business conglomerate includes The Hub – a premier shopping mall located in the beautiful leafy suburbs of Karen in Nairobi; Dalbit Petroleum, one of the largest oil distributors in East and Southern Africa, and Great Lakes Africa Energy, a U.K-based company that is a developer and operator of power projects in Southern Africa. Kariuki is also the owner of the 5-star Fairmont Mount Kenya Safari Club, and the neighboring Mount Kenya Wildlife Conservancy and Animal Orphanage. In may last year, kariuki entred into a deal that would see him construct a Sh. 40 billion gas power plant in Mozambique. Kariuki struck the deal through his Great Lakes Africa Energy (GLAE) firm, which is a UK-based pan-African energy solution company that develops and operates power projects in Southern Africa. “As part of the Mozambique government’s intended use of natural gas for the development of domestic power projects, GLAE will develop, finance, build, own and operate a 250 MW gas-fired electric generating power plant, planned in northern Mozambique,” said GLAE director Michael Kearns. In September last year, Kariuki was in the news after striking another multi-million deal. He secured a multi-million deal to supply jet fuel to the United Nations. The billionaire has landed two deals to supply jet fuel to bases run by the UN in northern Uganda and eastern DRC through his oil distribution firm, Dalbit Petroleum. The two deals were worth a whooping Sh. 796.79 million. The bases are operated by the UN’s World Food Programmes (WFP) which provides emergency assistance to people displaced by fighting in the DRC. Dalbit South Sudan’s jet oil supply deal with the UN agency for the Gulu base was estimated at $6.8 million (about Sh. 685.85 million), while that for Goma was valued at $1.1 million (about Sh. 110.95 million), the firm said in a statement. The firm said it had built a depot with capacity of 720,000 litres of jet oil at Gulu, a town located some 340 kilometres from Kampala. A report that appears in the Daily Nation traces Kariuki’s rise to a job he got at the central bank of Kenya aged 19. “Born 61 years ago in Nyeri in a family of 10, Mr Kariuki studied at Nairobi School and Kagumo High School before joining Central Bank of Kenya when he was only 19 as a clerk,” says the report. Kariuki himself told Forbes that he started at the bottom of the ladder. “I always tell people that in life you need to start from the bottom; the only place where you start at the top is when you’re digging a well. So I started as a clerk, and then went on to work in various other departments in the bank,” he told Forbes magazine in 2017. The Nation further says that in the 80s, Kariuki set up the Green Corner Restaurant at Nairobi’s Tumaini House, behind Kencom House. “We made the best hamburgers, steaks, and samosas among other things. For years, Green Corner was the place where professionals who worked in Nairobi converged for their lunch and business meetings,” he said in the Forbes interview. The Daily nation also says that at the indoor parking of Tumaini House, Kariuki’s car business blossomed. Apparently, at Kariuki’s you could find the latest state-of-the-art European motor vehicle models such as BMWs, VWs, Mercedes and Range Rovers. “At any given time, there would be an average of five vehicles with foreign registration number plates. After a few days, the vehicles would be replaced with another different set — meaning he was in a booming business. That he would be able to import such high-end cars at a time when the foreign exchange regime was prohibitive meant a lot on the kind of business strings that he managed to pull or, perhaps, pointed to his acumen as an astute businessman. But again, Mr Kariuki had previously worked at the Foreign Exchange Department of CBK which was approving foreign currency for businessmen intending to import goods,” reports the Daily Nation.